The sleek Nebo SL Rain Jacket provides the backcountry hunter storm protection in a 100% waterproof, ultra light packable system. The hip length cut provides moisture protection overlap which minimizes added layers. The 20k waterproof barrier not only provides a barrier against moisture but promotes breathability through productive moisture management. The Nebo SL Rain Jacket was designed as a do everything, multipurpose waterproof/breathable jacket for harsh environments. Crafted with dual hand pockets, a specialized cut to accommodate layers, and a storm hood and collar designed to keep moisture outside where it belongs, are just a few of the features that make this a bombproof, versatile shell for all weather protection. First off I scored four out of five only because I have not field tested it in the rain. First off i am 6’1″ @260. I feel i am at the limits of what this will fit due to the athletic fit. That being said this jacket seems built very well and screams quality throughout. I wear 2xl in most my clothing items but after trying a 2xl on i quickly decided i needed a 3xl so i suggest to defanately go up a size when you order unless you have a nice trim belly. I was worried about the overall/sleeve length due to the fact I prefer tall items but to my surprise this jacket has plenty of length in all the right places. If you have a belly it can be snug in that area but I found it was plenty roomy in the chest/back area which gave me plenty of room to stretch, reach, and draw my bow. I am overall satisfied with my purchase. too much good to say about the nebo rain jacket so ill keep it short . dont spend double the money on any other rain gear. SKRE has mastered the rain gear with nebo. its flawless nd still very breathable. Better rain gear than price would suggest. My favorite part of it is the hood. It actually fits so water doesn’t run down into your face. A well thought out and quality product. Top notch quality, along with top notch customer service. Very comfortable. Very quite for a rain jacket. Well worth the money. Great lightweight rain gear. Fits true to size and has excellent adjustments on the hood and collar to prevent that ‘sideways rain’ from getting your under-layers wet. Good gear! Five stars for product quality considering price! I spoke with Mike Wand at length about the rain gear before making the purchase and he was absolutely helpful. For the weight of it is surprisingly quiet. There are a few small things that I would like to see improved in the product: pit zips or chest vents, longer velcro loop section to better secure the tab when fully extended, a little longer jacket length, and the pockets moved higher on the body to allow access while carrying a pack. I haven’t had a chance to test it, but if it performs as well as it looks and feels then it will be awesome! Well I got hammered by a fall storm in the Alberta Rockies and can attest to the functionality of this kit! I will be adding the pants to my hunting gear. Only downside is the ability to vent under the arms when loaded down with a pack. Skre has finally become a company that only is affordable but functional. Out with all the rest in with Skre..
As the other reviews state, Quality throughout. I always buy an extra large for outer ware so I can layer my clothing, and the fit is perfect. The material is light, but tough, it isn’t going to tear. It keeps me bone dry, but it breathes well. The jacket also packs into a very small ball taking up very little space in my pack. I also have the Hard scrable pants excellent . 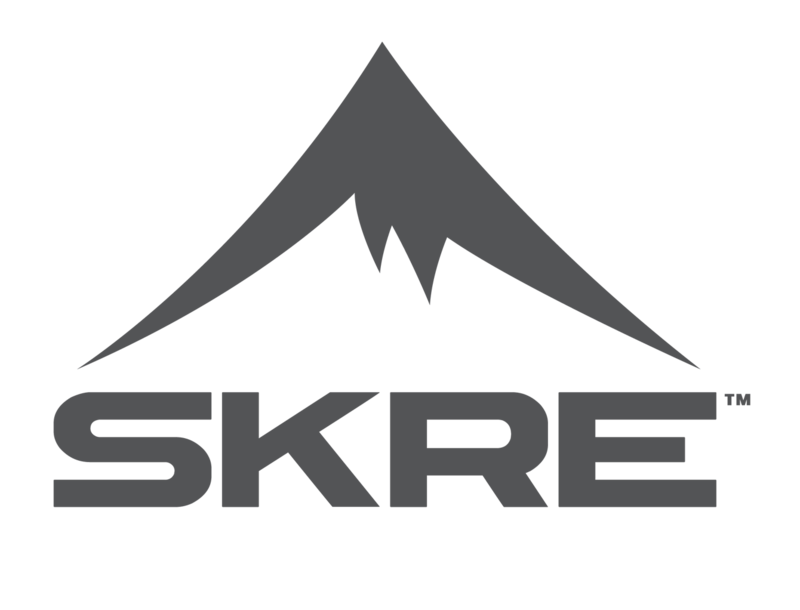 SKRE will be the only hunting clothing I purchase in the future. Just came home from a 15 day backpack archery elk hunt in the wilderness. Camp pattern was exceptional for becoming part of the landscape. My son thought I was a rock on one of the bluffs we sat on to glass. Comfortable, light, and great in the afternoon rains! I rate this product highly for it’s weight to rain protection value. I have had the Nebo rain jacket for two years and it does excellent in the rain and wind. The fabric has a soft drape and it is as quiet as the competition. However, I still would not expect to come to full draw on a critter in the 20 yard range unless it was actively raining or windy due to the typical rustling of rain gear. I have been within 40 yards of elk out in the open standing still with a bull just stomping it’s front foot at me, so the cammo is good enough to cause that confusion at close range. I would rate this product a 5 but they placed the pockets right where the hip belt of a pack goes, so you have no way to access your pockets while you have a pack on. I hunt with a pack on. I need access to my elk calls with a pack on. This could of been alleviated by placing zippered slash pockets on the upper torso. Ideally these pockets should have a mesh liner and not a waterproof membrane liner so that the jacket could be ventilated by opening upper torso pockets. Dual function and so no pit zips would be needed which are so 1990s. A perfect example of this is the U.S. Army ECWS wind jacket, big torso slash pockets with mesh liner. Amazing rain jacket! It’s lightweight and very quiet. I hike up a mountain about 1/2 mile and it was breathable and kept me dry in the rough terrain. I highly recommend this jacket! I was finally able to test the rain jacket this season in some terrible rain and snow storms. To say I was impressed is an understatement! Rain gear has always been a sore spot for me, I am either soaking yet because the product failed or I am soaked from sweating do to the lack of breath-ability. The Nebo gear addressed both of those issues, flawlessly. The fact that it only weighs 13.7 oz and packs down into a stuff sack the size of a Gatorade bottle just shows Skre has done their research and created a 5 star product. Usually rain gear has been a last minute decision on whether or not to pack it along. Now, it goes with me every hunt, rain or shine. I have used it as a wind breaker on the cold mornings where you just need a little extra to help you sit longer. You don’t have to make the decision to pack it or not, just bring it! I am 6’3″ 180 lbs, so not a giant, but the large jacket fits perfectly. It is big enough to fit over the top of the Ptarmigan and Hardscrabble Jackets but also small enough to wear with just the Wasatch Crew Top underneath. Versatile with any temperature and layering system one may encounter while in the field. This jacket will keep anyone dry in the worst conditions. I mean, we wore it in the shower to test it and came out completely dry!